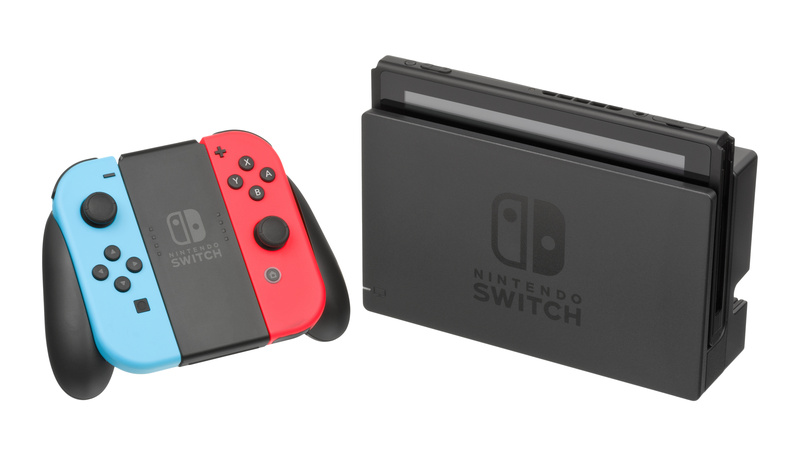 Black Friday may well have been and gone, but Nintendo Switch deals are still popping up all over the place to let consumers snag themselves a bargain or two. Today, to kick off Cyber Monday, you can get your hands on $35 worth of eShop credit when you buy a Switch console in North America. Not bad at all. This deal is only available today, 26th November - starting at 12:01am PT and ending at 11:59 pm PT - and is taking place across a selection of participating retailers. Frustratingly, those particular retailers haven't been shared, although we can confirm that Walmart is offering the deal and others such as Best Buy, Target, and Amazon are certainly worth a look. It's worth noting that the offer only applies to console purchases online - so visiting your local store isn't necessary - and can be found alongside the original Grey and Neon Red/Neon Blue bundles. A $35 eShop voucher can go quite a long way towards a major release or a selection of smaller indie titles, so it's well worth snapping up if you're looking to buy a console. Will you be hunting down this offer today? Let us know if you find one in the comments below. You would have been better off buying it on Thursday and Friday at GameStop and Best Buy. I still say they could have done something like this for wiiU owners. @liljmoore Nope, today is even better at Gamestop. Not only do you get the eshop card you also get the $50 gift card. @Spoony_Tech Really? That's pretty sweet. Pretty weak deal unless you go to Gamestop Like Spoony_Tech mentioned. The console is selling a lot though so there's no reason to discount a lot or throw in a ton of stuff. @Spoony_Tech Your source? Gamestop's website says the $35 eshop credit is not included, just the $50 Gamestop digital gift card. Four days ago they did have a MK8 bundle with the $50 card (still no $35 eshop credit). @HADAA That's because it sold out of all the $35 eshop cards. You needed to be on that deal quite early this morning. That’s preposterous. They could easily print a digital code on receipts too. Why not? Seems like they had a limited number of discount bundles they allowed. Wal-Mart did a similar thing with the $199 PS4 bundle by “pseudo” selling out.